“For me, Dequení is a blessing. 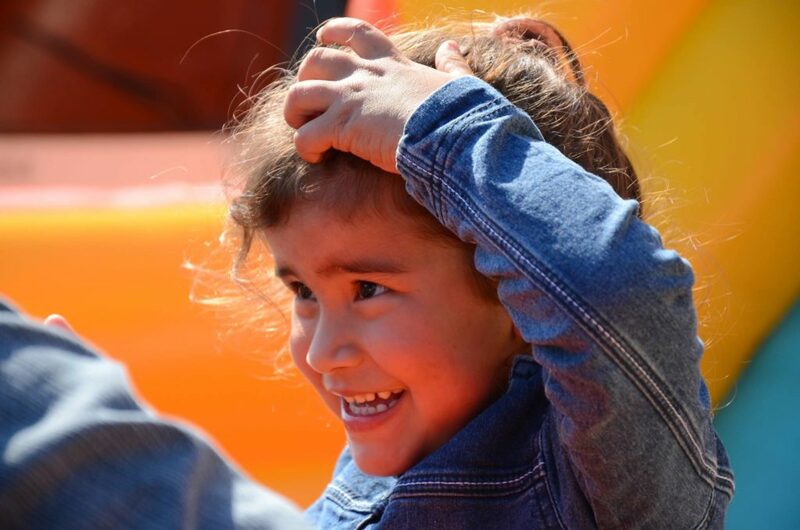 Thanks for making it possible for me to be here.” Every spring, the children from Dequení usually greet supporters with messages like that of 9-year-old Sofia, inviting them to be joyful and for rebirth. 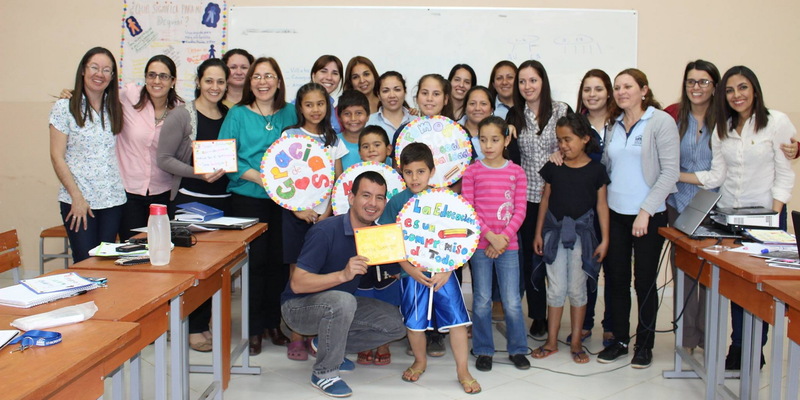 This time, they surprised them during training at the Central House in Fernando de la Mora. 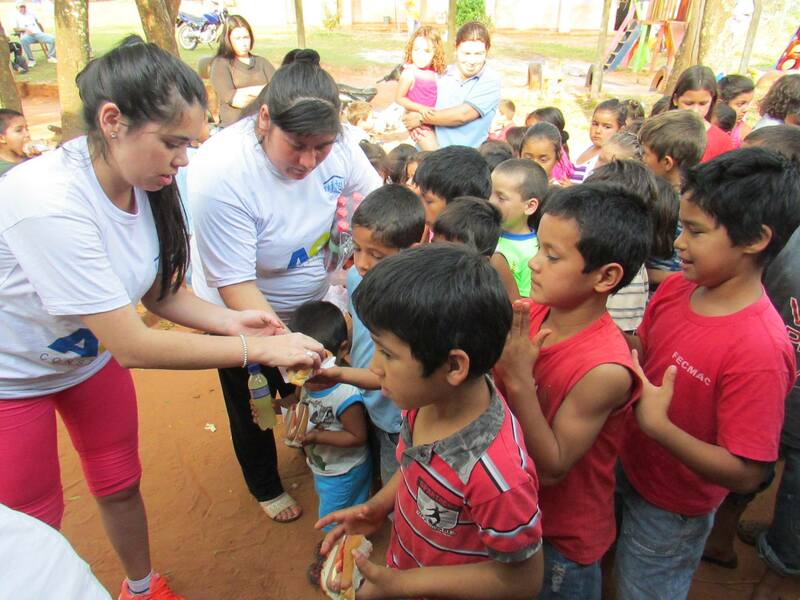 Dequení is a blessing for thousands of Paraguayan children, children who come from families of limited resources. Children forced to drop out of school, or those who never see the inside of a school, working on the streets, not only risking their schooling, but also their spiritual and corporal health. Children, who thanks to Dequení along with so many allies in solidarity, can get out of the vicious cycle of poverty and lack of education, and not only them, but along with them, their families and their entire communities. Dequení is a blessing for the children, for their families, and for poor schools that receive help thanks to Dequení. However, it does not end here. Dequení is a blessing for more and more businesses that thanks to Dequení find their side of solidarity. 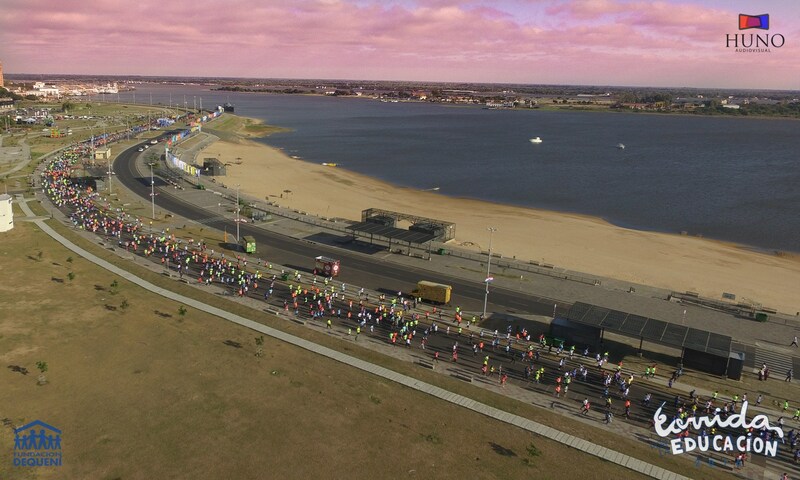 Every year, at the end of August, there is a “Race for education” with teams of runners and fans, sponsored by managers and employees of local businesses. This race is not just a sporting event, a moment of joy and prizes, or a way for Dequení of raising funds, but more importantly, it creates a current of solidarity, an attachment, covenant solidarity among the poor and businesses. It does not end with the race; over the course of the years, Dequení has developed management solidarity on the part of businesses (several in fact, the pioneers, are led by Schoenstatters in solidarity). Let us look at some examples of commitment solidarity from the last few weeks. 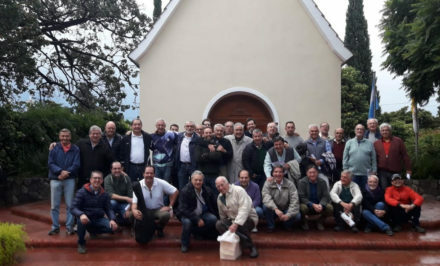 In Caaguazú, a basic computer operator course in covenant with Sinafocal ended. The beneficiaries are the community youths and adults in addition to the teachers of the Fulgencio Yegros School. In this school where the course was taught, seven computers remained installed for everyone’s access. 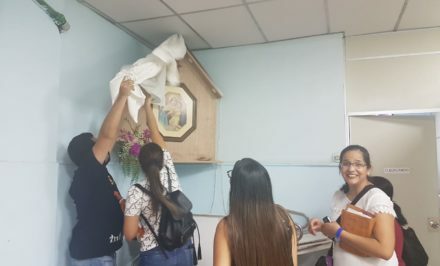 St. Therese of the Child Jesus School is located in one of the city’s poorest neighborhoods of Caaguazú. 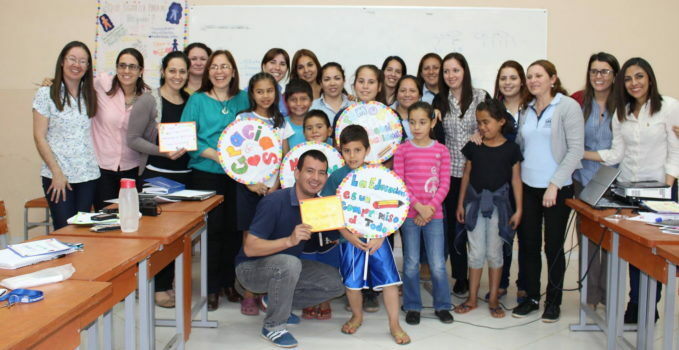 AGB Constructora sponsors this school, offering better opportunities for the children who attend there. In a hard day of work, volunteers built an ecological park, they painted classrooms, and moreover, they celebrated Children’s Day. Games, laughter, and fun were the celebration’s ingredients that Visión Banco shared with their godchildren, the children from St. Isidore the Worker School of Arroyos y Esteros. We go to school with businesses to collaborate so classrooms will be a motivation to study. It is worthwhile to read the testimony written by the management of Teisa Integración Global: Thanks to the large Dequení Family for allowing us to be a part of this and other events where we could contribute our grain of sand. The Children’s Day celebration in the Costa Sosa community, Luque, was a wonderful gathering. Volunteers from the University of Pacific-Paraguay enjoyed a recreational morning with the children from Costa Sosa Luque to commemorate Children’s Day; they shared games, face painting, and drawing. Everyone was happy! 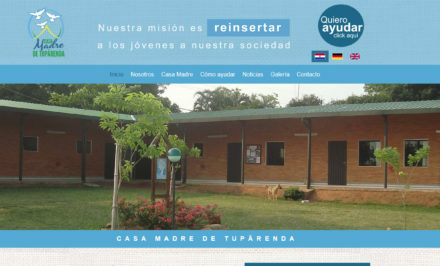 The students from this house of study had internships, and they supported Dequení’s services. 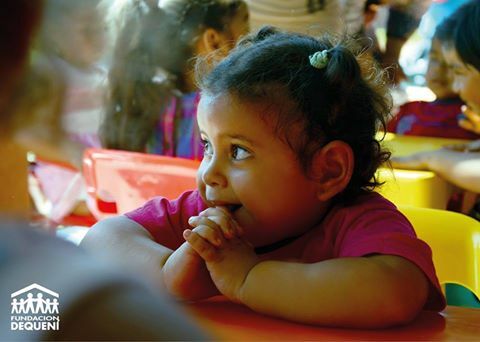 Emilia, age 2, is one of the little girls accompanied by Dequení in the early childhood program. She attends the Together We Can community center of Villeta, where she shares games, and an entertainment space with other children of her age. Meanwhile, she also develops her physical and mental abilities, and she learns how to recognize and to manage her emotions. Her teacher relates that she is developing very well; she learns what is taught, she is very intelligent, she understands everything, and she learns quickly. What would become of Emilia without Dequení? Even more thought provoking: What will Emilia be in 5, 10, 15, 20, 30, 50 years? Will she be a student of solidarity, a teacher, a lawyer, a doctor, a senator, a minister in solidarity, who recognizes the reality of the poor and the marginalized? 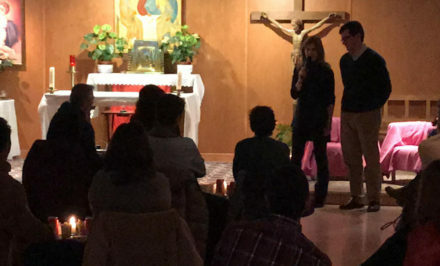 Schoenstatt.org has accompanied Dequení for more than ten years, creating a still small, but strong current of solidarity, thanks to the scholarships provided by readers from Germany, Italy, Spain and Switzerland thus far. Together we can. With more readers in solidarity, we could do even more. What a feast it would be to find sponsors in solidarity in the USA, Australia, and Great Britain… There are many Emilias waiting. 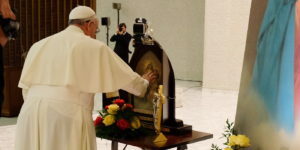 For every one who finds his/her side of solidarity, Dequení is a blessing. Really.